Before Megaupload was shutdown the company was preparing to go public and enter the US stock market with a multi-billion dollar IPO. While the US authorities were conducting their criminal investigation, Megaupload had discussions with some of the 'Big Four' auditors and several of the world's largest investments banks. The top of the financial world was looking at a huge potential tech IPO with a billion dollar valuation, but these plans ended abruptly in January. According to a US indictment, Kim Dotcom and the rest of the “Mega Conspiracy” were running a criminal operation. They are accused of engaging in a racketeering conspiracy, conspiring to commit copyright infringement, conspiring to commit money laundering and two substantive counts of criminal copyright infringement. In recent years Megaupload surrounded itself with some of the best lawyers who all guaranteed that the company was operating a legitimate business. In fact, Kim Dotcom informs TorrentFreak that his company was planning to enter the US stock market through one of the largest tech IPOs in history. Megaupload was negotiating with the world’s top accountancy firms to become auditors and large international banks were interested in underwriting the public offering. Aside from an IPO, Megaupload also researched the option of becoming publicly listed through a reverse merger, where it would buy an already listed company. Hong Kong-based corporate advisor Robert Lim was asked by Megaupload management to help advise on this endeavor, and he agreed to give us some more background on the work that was done up until the raids in mid-January. Preparing an IPO is not an easy or quick process, but Megaupload had serious intentions and was talking with several of the “Big Four” auditors. “Megaupload management had discussion with a number of the ‘Big Four’ largest international professional accountancy firms , which handle the vast majority of audits for publicly traded companies. These Big Four firms were invited to be the auditor and to work together with management to build out a road map to prepare Megaupload for an IPO,” Lim explained. In other words, the auditors would conduct a thorough review of Megaupload on virtually all aspects, which is not generally something a criminal operation would be interested in. Besides cooperating with the top audit firms, Megaupload also approached several of the world’s leading investment banks to assist with the IPO plan. According to Lim the list of banks included those experienced in taking technology companies to the stock market. In an earlier conversation with TorrentFreak, Megaupload’s Kim Dotcom mentioned several of the interested parties by name (withheld from publication). Lim confirmed that the banks Megaupload talked to were very open to the IPO plan, which he believes could have been very successful. Just how successful the plan could have been becomes apparent when the numbers come into play. As a profitable company that generated a healthy profit in its short existence, the company was looking at a multi-billion dollar valuation. 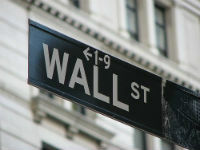 “Despite the global economic downturn, the tech sector still seems to be providing the most successful IPOs. Therefore, underwriters said Megaupload had a good chance to be a very successful IPO, with an estimated valuation of at least a couple of billion US dollars,” Lim told us. After all, Megaupload was a reasonably large and very fast growing tech company and also a leader in its sector. Furthermore, unlike many high-profile tech companies going for an IPO including some video file sharing companies that had successful IPOs, Megaupload was profitable. However, this bright future was shattered early 2012 when the US authorities shut down Megaupload and arrested several people connected to the site. Lim was shocked by the news, and he believes that the IPO plan is an indication that the company isn’t really the criminal conspiracy the US authorities claim it to be. “Objectively speaking, for the criminal case it brings up the question if there really was a so-called ‘Mega-Conspiracy’ among Megaupload management. 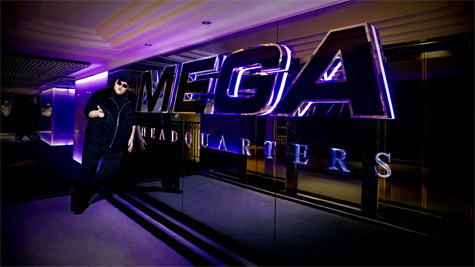 It is clear Megaupload management was seriously exploring options for taking the company to public listing,” Lim told us. “This does not fit with the ‘Mega-Conspiracy’ concept that Megaupload management is accused of, including that they knowingly and secretly conspired to do and hide criminal activities in Megaupload,” Lim adds. These revelations do indeed raise many questions, including whether the US government was aware of Megaupload’s plans. It seems likely that the Megaupload legal team will reference the company’s extensive plans to enter the stock market in their upcoming defense. While it doesn’t answer the question of whether Megaupload’s operators are guilty or not, it does show that the company believed it was legitimate and wasn’t trying to hide anything.